Posted in "2017 norco aurum"
Posted in "Goggles around the neck?" 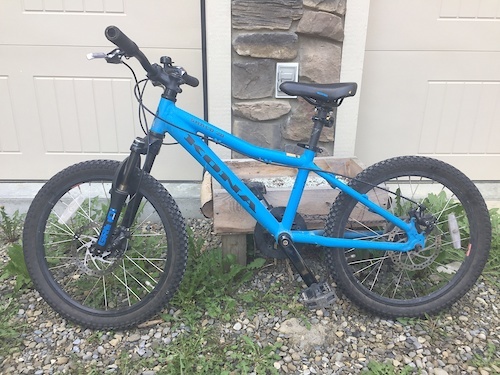 For sale 2015 Kona Shred 20, bike is in good shape, cable disc brakes, great bike to start getting out on the trails. My boy just has outgrown it.